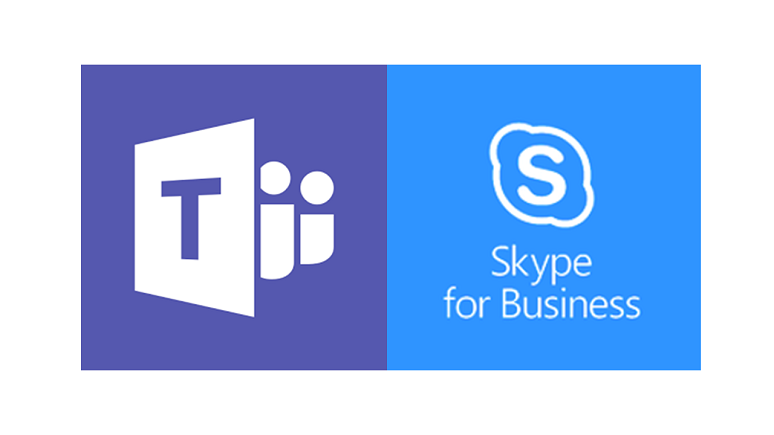 Microsoft Teams is NOT the next version of Skype for Business. Rather, Teams is a distinct product that provides new collaboration capabilities akin to persistent chat on steroids. In addition, Teams includes capabilities of SharePoint, OneDrive, and Skype for Business. The correct way to think of Teams is as two significant products rolled into one, a collaboration tool and a communications tool, as I explore in my Taming Teams series. This mindset assists organizations deciding if they want to use Teams and, if so, how to optimize it for increased business productivity. Teams as a collaboration product delivers capabilities comparable to Slack’s, overlapping and leveraging existing SharePoint, OneDrive, and Yammer functionalities. Teams as a communications product delivers many of the existing capabilities of on-premises Skype for Business, which has always been more capable than Skype for Business Online. Teams communications includes presence, instant messaging, peer-to-peer calling, PSTN calling, audio conferencing, and video conferencing. Data residency -- larger organizations may have created multiple Skype for Business pools located in different countries to address regulatory requirements related to where call detail records, IM conversations, uploaded content, and meeting recordings are stored. Teams multi-geo capabilities don’t currently provide the same level of control. Contact center and other third-party integration -- organizations that have deployed contact center applications integrated with Skype for Business or have invested in third-party reporting or management tools should be aware that few if any of the existing tools work with Teams. Meetings -- While Teams and Skype for Business meetings are similar, they have important differences. While you could set up a dedicated Skype for Business pool to host interactive meetings with up 1,000 users, meeting size in Teams is currently limited to 250 users. This is not to be confused with broadcast meetings, now called Live Events in Teams, which enables the hosting of meetings for up to 10,000 attendees. These, however, are one-to-many rather than interactive meetings, and only allow attendees to join via Web browsers. In another difference, while Teams does allow you to share your desktop, a specific application window, or PowerPoint slides during a meeting, you can’t annotate shared PowerPoint slides in Teams like you can in Skype for Business. On the positive side, Teams records meetings and stores these recordings in the cloud, unlike Skype for Business, which stores meeting recordings on local PCs. Teams also can provide a transcription for meeting audio and can blur a presenter’s video background. Phone device support -- Microsoft has introduced a new line of certified Teams IP phones, but it also has said that basic functionalities will continue to work on Skype for Business Online-certified devices when a user switches to Teams. Call queues and automated attendants -- Microsoft has rebuilt the call queue service for Teams, which in Skype for Business is called response groups. Similarly, automated attendant/IVR capabilities in Teams are based on new code. While an over-simplification, presently call queue and attendant capabilities in Teams lack some of the features available in Skype for Business (which also leveraged some capabilities of Exchange Unified Messaging). Interoperability with Skype for Business -- Teams and Skype for Business work together but not seamlessly and not perfectly. If you’re going to have large groups of users on each platform for a long period of time, you should pilot the interoperability capabilities and mitigate any issues through strong communications, change management, and training. Depending on how the interoperability scenarios work within your organization, you may choose to limit the “in between” period in your transition to Teams. On-premises PSTN connectivity -- Teams introduces a new model called Direct Routing. Some existing session border controllers/gateways may not be supported or may require software upgrades. Direct Routing enables you to use existing SIP trunks or T1/E1 connections with Teams. Note that you currently cannot use existing conference dial-in numbers via Direct Routing with Teams conferencing. Network -- Microsoft recommends local office breakouts for Internet connections to optimize Teams real-time communications. This makes sense for new deployments but is likely different than the “hub and spoke” network model large organizations use for on-premises Skype for Business deployments. Evaluate and understand the implications of any network changes required to optimize Teams voice and meetings. Costs -- Many organizations saved hundreds of thousands or even millions of dollars by moving from a hosted conferencing provider to on-premises conferencing with Skype for Business. Moving conferencing and meetings back to the cloud, via Teams, may have licensing, networking, and calling/DID/toll-free cost implications. Do nothing with Teams. Just because there’s a new tool doesn’t mean you need to use it. That being said, conducting a Teams collaboration pilot with some users generally makes sense for most organizations. Deploy Teams to provide new collaboration abilities and keep Skype for Business for communications (which might involve upgrading to Skype for Business 2019). Use Teams for collaboration. Use Teams communications for some user groups and continue using Skype for Business for other user groups. Deploy Teams for collaboration and transition to using Teams meeting capabilities. Keep Skype for Business as the primary calling platform. Transition to Teams for both collaboration and communications; this could happen in multiple steps. For guidance on a Teams transition, check out the initial posts in my ongoing Taming Teams series: Starting Right, Getting to Know Team’s Teams, and Changing the Channel. My team and I spend our time helping organizations succeed implementing communication and collaboration systems, most often within the Microsoft ecosystem, and I would like to help you succeed with your Skype for Business or Teams implementation. Microsoft Teams enables new opportunities but also brings new obstacles and pitfalls. If you have specific questions please comment below, send me a tweet @kkieller, or message me on LinkedIn -- and join me at Enterprise Connect 2019, March 18 to 21 in Orlando, Fla., where I'll be moderating the "Transitioning to Teams: What's Your Next Move on Microsoft?" session as well as a tutorial on the transformative impacts of artificial intelligence on UC. If you haven't yet registered for Enterprise Connect, use the code NJPOSTS and save $200! Register now to catch this discount on our current rate.